Every Halloween season I do a round of digital dress up for the site. Here’s a collection of my best computer generated costumes for Halloween 2015. Hear no exposition, see no exposition, speak no exposition… or maybe just a little. See Sadder Batman and the rest of the insanity in my design gallery. Check out Sad Superman and find out if you or someone you love are living with Batman Syndrome. I have a cutout Batman, then I have a cutout Superman. What’s the first thing I do? Put them in this situation. I guess I’m a romantic. When director Zack Snyder released a photo of Ben Affleck, looking somber in the new Bat suit, Photoshop savvy netizens inserted him into sorrowful scenarios, and the Sad Batman meme was born. When the studio released a photo of Superman from Batman V. Superman: Dawn of Justice they put rain droplets in the foreground, preventing enterprising satirists from developing yet another meme. They underestimated the power of Photoshop. May I present Sad Superman: cut out, with the droplets removed, and polished to perfection. I even threw in a colored version Sad Batman, with feet and a cape I’d added on. Copy the PNG files and send these characters out on your own adventures. To see more of the crazy things I’ve done with Sad Batman, take a look at my article on the perils of Living with Batman Syndrome, and don’t forget to check out my Design Gallery to see other comic book and movie parodies. It’s hard for Kanye to be sad when Superman’s giving him a lift to the studio. Now Batman has nothing to be sad about. If a ride on Superman’s back doesn’t cheer Keanu Reeves up, nothing will. Since the original photo cuts Batman off at the knees, I grafted on a pair of legs from an action figure. Same with the cape. In addition to clearing out the droplets, I used an image from Man of Steel to complete the cape. I also made him brighter and enhanced the color so he could fit into more daytime scenarios. 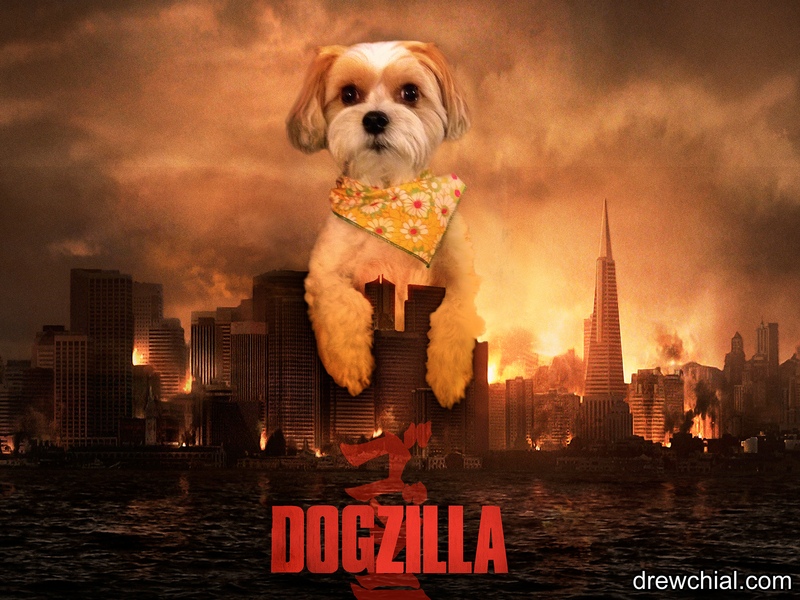 Check out Dogzilla and the rest of the insanity in my design gallery.